The exquisite dwarf black olive adds a graceful touch to an Oriental garden, accents the entry to a modern home, or mixes well with eclectic landscaping. 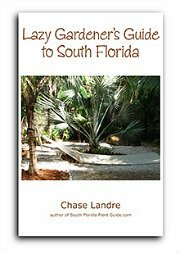 Imagine a bonsai tree growing in your own backyard - with no trimming and shaping required. This tree does it all on its own...and each one is unique. Some will send out wide horizontal swaths of branches. Some will split off into several trunks that form layered tiers. A horizontal branch is often decorated by smaller vertical ones with greenery on top. 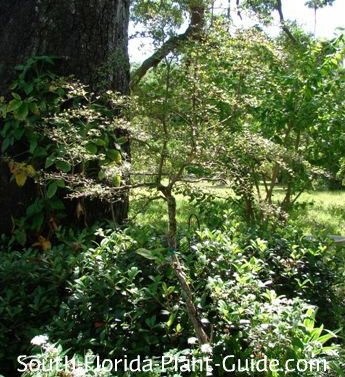 A larger relative with fuller foliage is the Shady Lady Black Olive, a superb shade tree for South Florida. 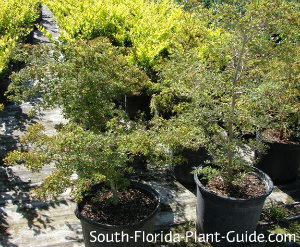 Native to the Florida Keys, Cuba and the Bahamas, the dwarf tree is like a natural bonsai...and in fact is often used in the art because of its striking windswept form and slow growth rate. But it grows well in the ground in warmer areas of South Florida, and looks fantastic against a blank wall or as an entryway accent. It's also an excellent container plant. Rare and unusual, this tree may have to be special ordered at your local plant nursery. These unique trees can grow 15 to 20 feet, though it takes a long time. Part of that is because they grow slowly - and the other is that the growth pattern is often horizontal. 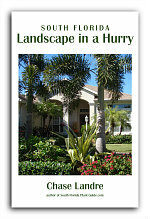 In most home landscapes 8 to 10 feet is the norm. Full to part sun works best, and the tree needs a well-drained area. These are true tropicals and can suffer when temperatures drop below 40 degrees. They need the warmth of Zone 10. In Zone 10A you should provide cold protection with a sheltered planting area. Even in Zone 10 expect some leaf drop in winter. Dwarf black olive is a salt-tolerant tree and does fine on coastal properties. 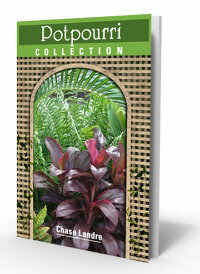 Amend the soil with top soil or organic peat humus and composted cow manure added to the hole when you plant. Trim sparingly - it takes a long time for this little tree to grow out of a trim and it's always a crap shoot (unless you're a bonsai artist) as to which way it's going to go next. Cold weather may cause some leaf drop. Wait till summer to decide whether branches will re-sprout or it's okay to remove them. Fertilize 3 times a year - in spring, summer, and autumn with a top quality granular fertilizer. Supplement feedings with liquid fertilizer during warm months. The important thing to remember about this tree to keep it away from foot (or vehicle) traffic. The branches can be brittle and break off. Another concern is the prickly little spines. Place it about 4 or 5 feet from walkways. Come away from the house 4 or 5 feet. 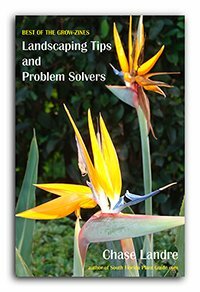 Small shrubs and groundcovers can go as close as 2 or 3 feet. These trees do very well in large containers. COMPANION PLANT SUGGESTIONS: Use plants that accentuate but won't overwhelm the dwarf black olive's delicate beauty...Indian hawthorne, blackberry iris, mondo grass, juniper, loropetalum and blue daze.